Katie Emma had a vision. This baby was HUGE. 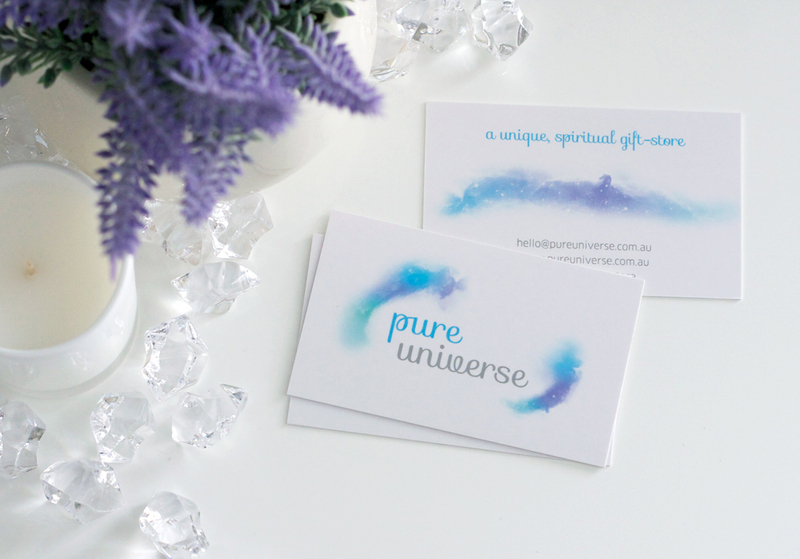 Quitting her job as bookstore shop assistant, and harnessing her love for the spiritual realm, Katie built her own online business, and executed an all-over brand rollout. 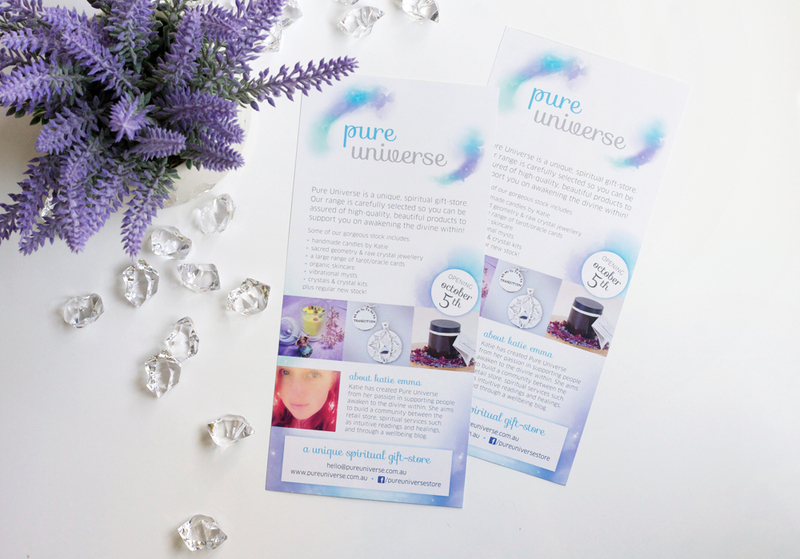 I worked closely with Katie as she prepared for events and releases to ensure the Pure Universe logo and look were continuous throughout her business expansion. 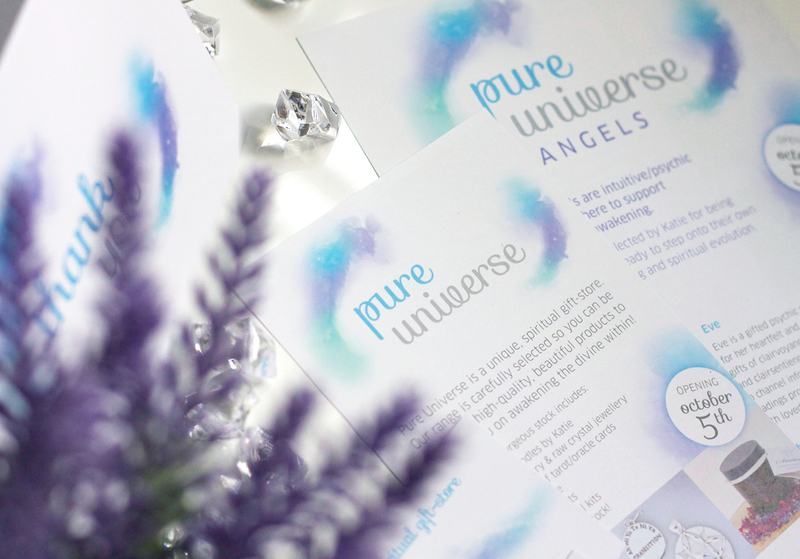 No matter how large or small she made her business, the branding could cater to each application.